Tracy Todd is a woman who will touch your heart. Why walk when you can soar … These are the opening words on Tracy’s website and they are a powerful affirmation of the person Tracy is today – a sought-after inspirational speaker whose uplifting presentations have inspired and given hope to many people. But it is difficult to imagine what she has overcome in a tough and often lonely journey. 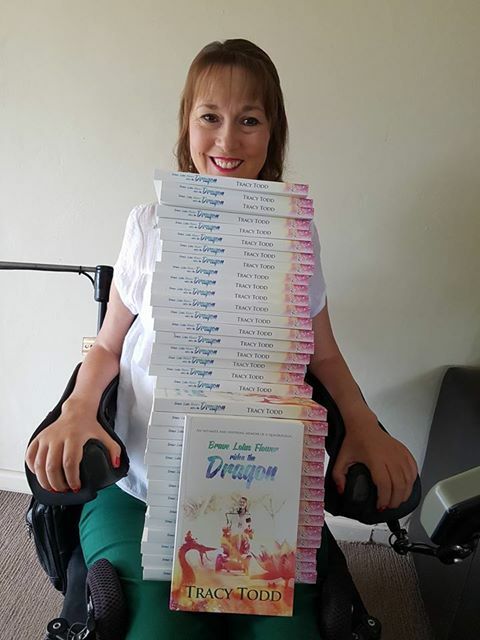 At the age of twenty-eight her life was turned upside down when a horrific road accident left her a quadriplegic, paralysed from the neck down. Her life as an athletic, marathon-running young mother and teacher was abruptly shattered. Despite months of rehabilitation, Tracy often found herself wondering if her life was worth living. Everything she had taken for granted was now beyond her reach and frustration at her helplessness threatened to overwhelm her. Against the odds, Tracy chose to live. Her strength of character and determination prevailed and, sustained by the support of her son, family and friends, her care assistants, and an unbelievably caring community, she set about gaining the independence to rebuild her life and reclaim her identity – which she has done, with dignity and grace. 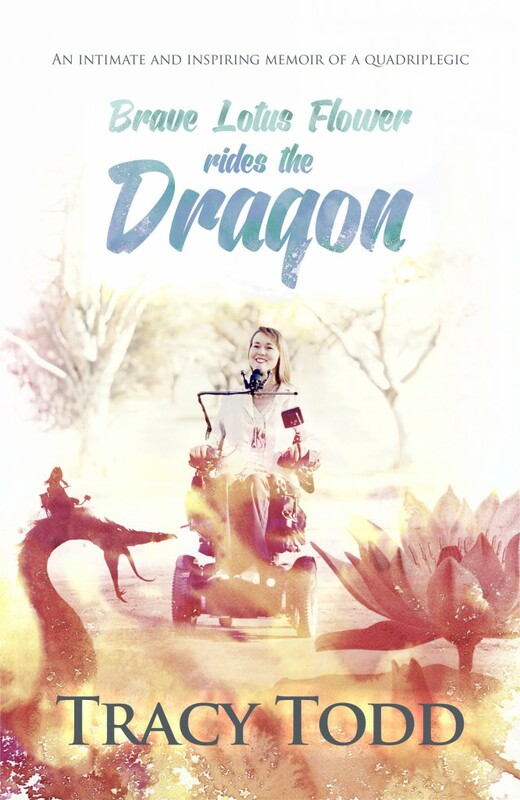 Brave Lotus Flower Rides The Dragon is an honest, inspiring and engaging memoir in which Tracy’s natural warmth and humour are tangible and, most importantly, she embodies what the human spirit can achieve.